I decided to keep this card extremely simple, because I wanted the coloring to really take center stage. This set is so awesome for whatever your favorite coloring technique may be... in this case I chose to color it using inks and a blender pen. I used Pool Party, Calypso Coral, Wisteria Wonder, Crushed Curry, and Gumball Green inks. And P.S. - Gumball Green is retiring but at this time the ink and cardstock are still available so get them while you can! 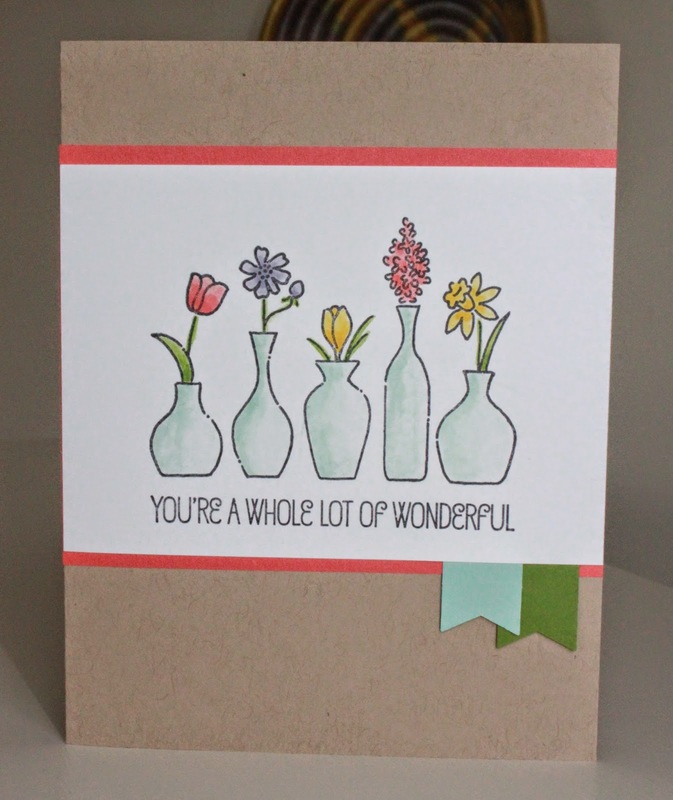 Try watercoloring the stamp, or paper piecing the vases with your favorite DSP! Quick and simple, and the results are oh-so-cheerful! You could easily take this same card design and "step it up" however you like... Add ribbon or twine. Or maybe a button or other embellishment. Add more layers of cardstock. Emboss the card base with an embossing folder. Or just keep it sweet and simple!